It started in January with the Grand Prix competitions in Moscow and Marbella. 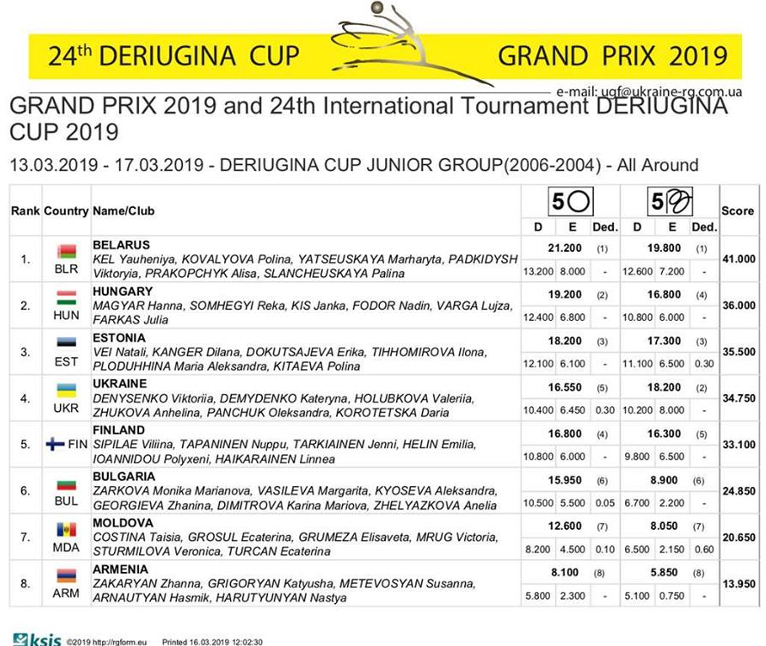 The 3rd Grand Prix follows now in mid-March in Kiev during the 24th International Deriugina Cup and a week later follows the Grand Prix No. 4 in the French Thiais. 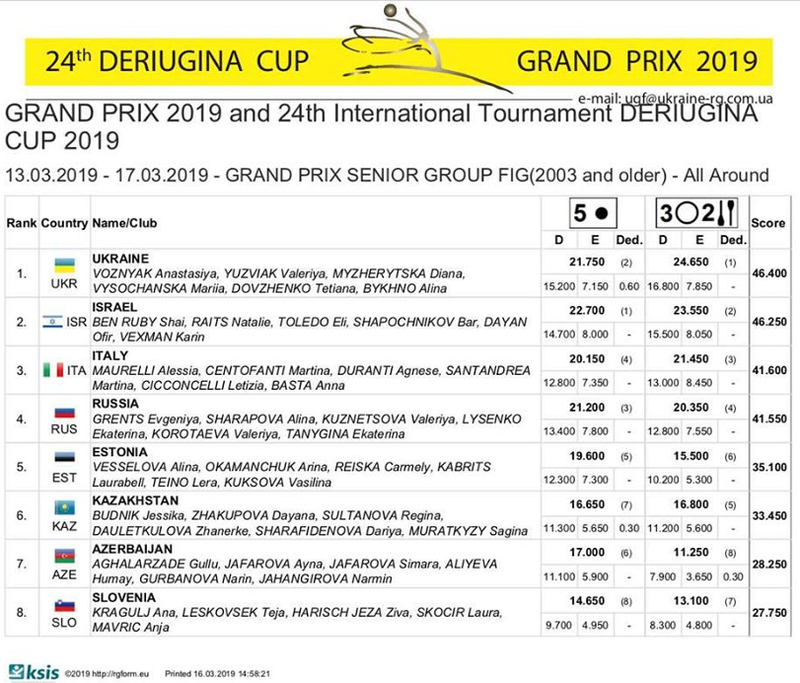 In the following month of April, then the world association FIG has set a four-time World Cup series on every weekend: At the events in Pesaro and Sofia, follow Tashkent and Baku before then the 35th European Championships 2019 will be held in the same place in the capital of Azerbaijan.